School Premises, English Courses, English Classes, English Lessons. We are delighted to announce that as of Wednesday 2 January we welcomed our students and players to our new school premises. 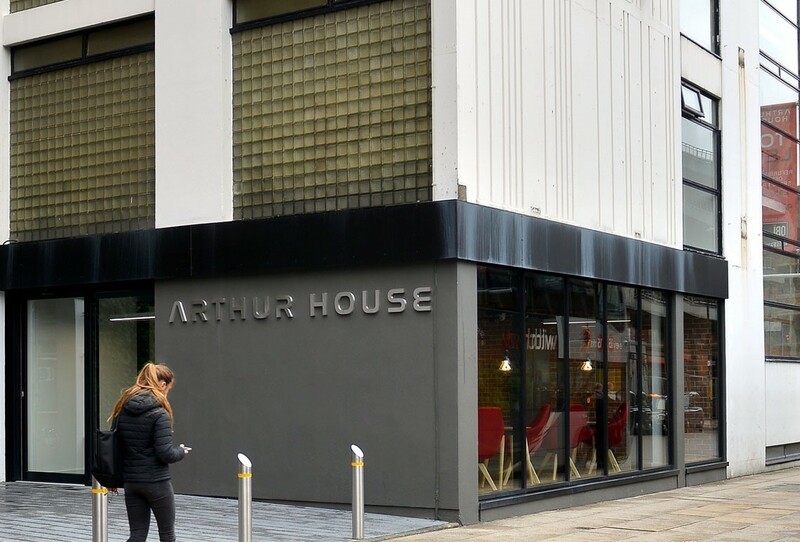 The 5th floor of Arthur House is now our new permanent home. 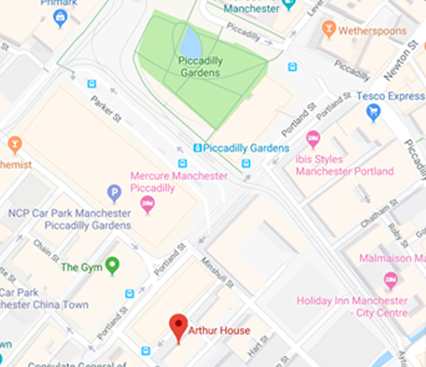 You can find us very easily, we are just a short 2 minute walk from Piccadilly Gardens. There are now 8 newly decorated classrooms, each one well-ventilated and flooded with natural light from the large windows. Students will also benefit from a much larger reception and break-out area where they can relax in between classes. If you are interested in coming along to take a look around, please either simply call in, or let us know by email. You would be made very welcome. We would then also be able to chat to you about all the opportunities available at International House Manchester Football Academy and the many football trials, showcases and academic courses that we offer young football players from all over the world. 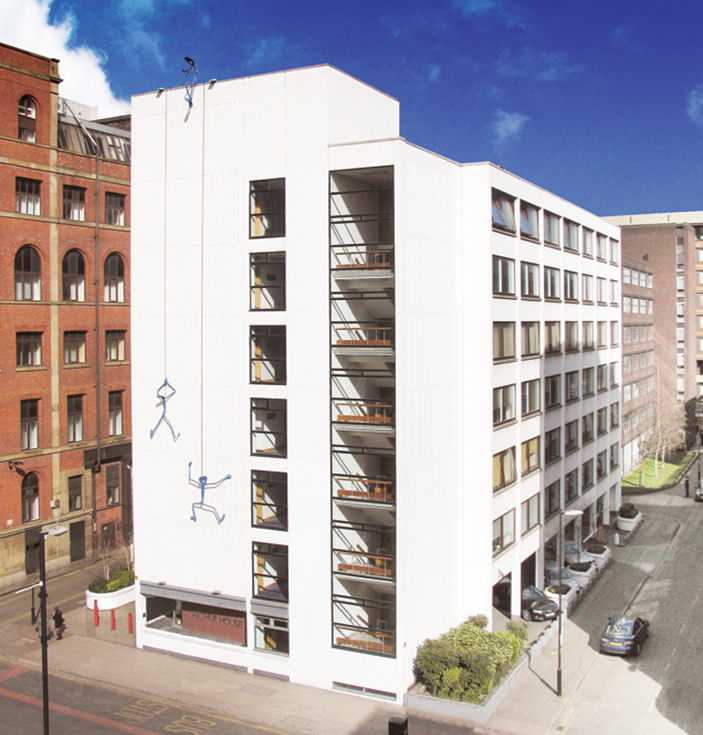 Arthur House, 5th Floor, 13-15 Chorlton Street, Manchester M1 3FH.